Product prices and availability are accurate as of 2019-04-20 22:39:48 EDT and are subject to change. Any price and availability information displayed on http://www.amazon.com/ at the time of purchase will apply to the purchase of this product. 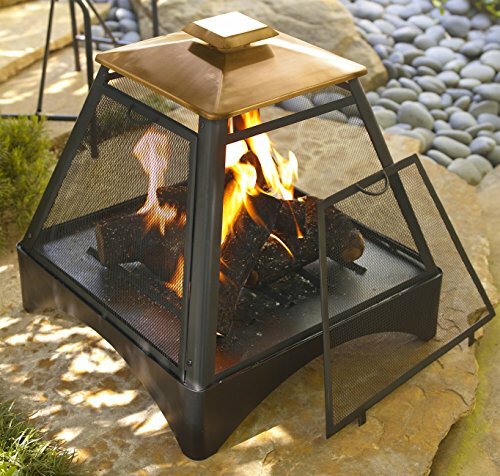 Enjoy the warmth and ambience a toasty fire can bring to an outdoor living space. 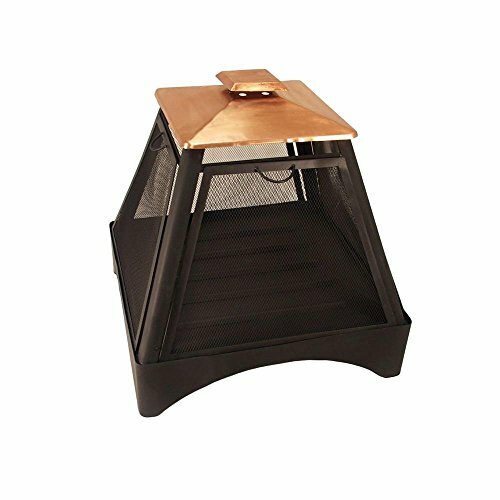 Our Copper Pagoda Fireplace is perfect for small and medium areas the 24” x 24” x 24” fireplace is small enough to fit anywhere but large enough to entertain around. The copper pagoda fireplace is rich with eastern influence and is a stylish accessory to any patio. 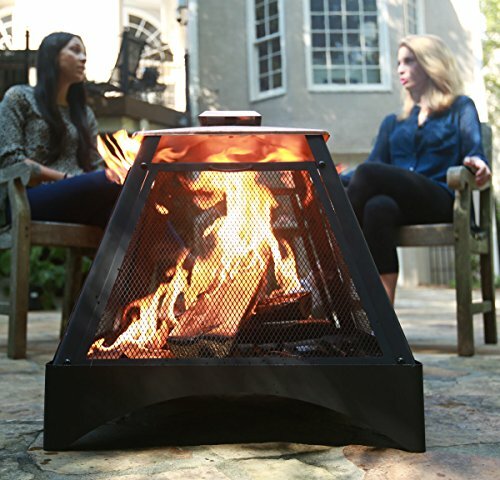 The exterior steel grate is made from a heavy-duty construction, providing a built-in screen and an unobstructed 360-degree view for maximum warmth and visibility. The hinged door of the fireplace makes manipulating the firewood a very simple task. This fireplace comes with a 100% copper top, a built-in log grate for maximum airflow and includes a storage cover to protect against the elements when not in use.